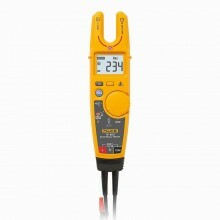 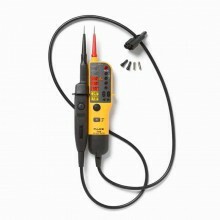 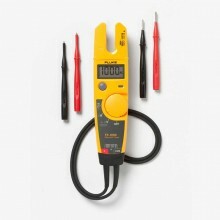 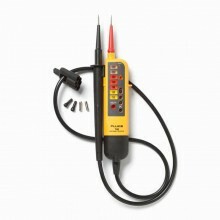 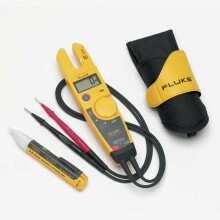 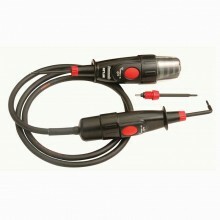 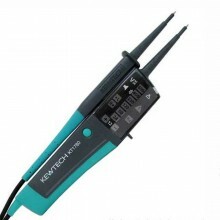 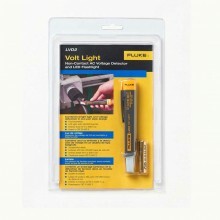 Includes: Fluke T90 Voltage & Continuity Tester, Probe Storage Accessory, Instruction Manual, Push-On Probe Tips. 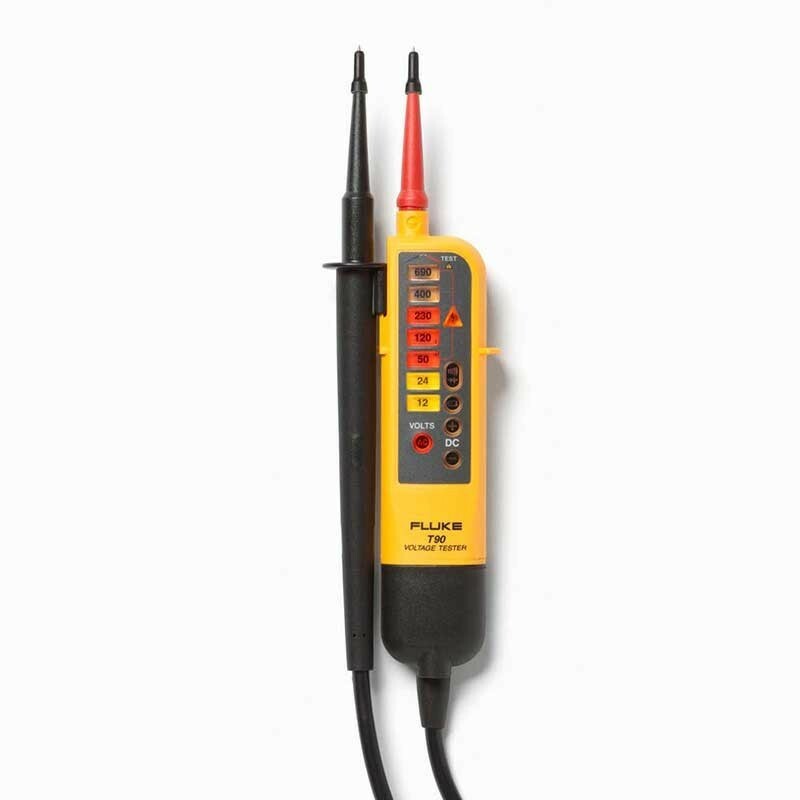 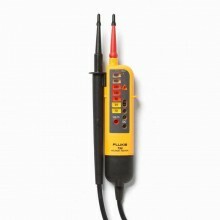 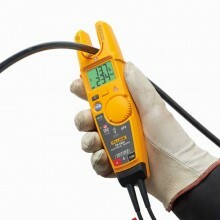 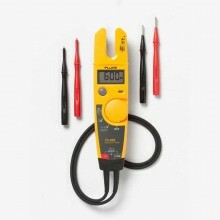 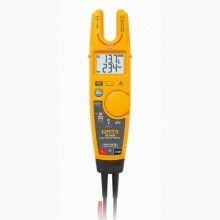 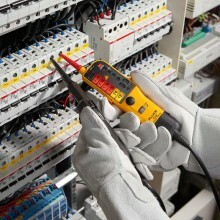 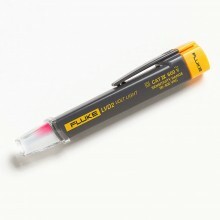 Fluke’s two-pole voltage and continuity testers are built to work the way you work. 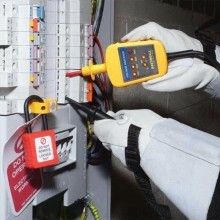 They give you the best combination of safety, ease-of-use and fast answers available anywhere. 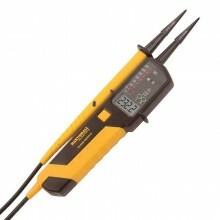 Their primary use is for test and measurement in industrial, commercial, and household environments. 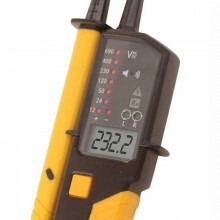 V Display: Multiple LED Bargraph. 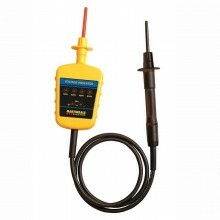 Auto power on: ≥12 V ac/dc. 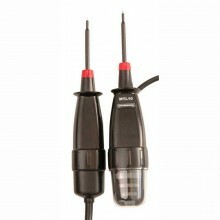 Slim Probe for Ultra-Compact Form Factor. 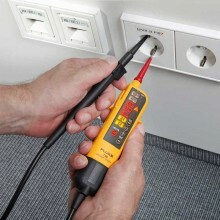 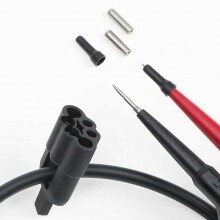 Continuity 0 - 400 kΩ. 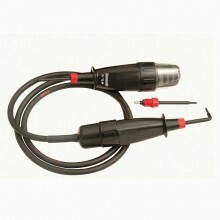 Frequency 0 / 40 - 400 Hz. 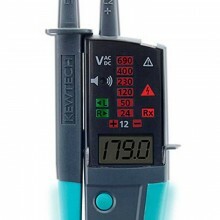 Phase rotation - 100 V - 690 V.
Response Time (LED indicator) < 0.5 s.
Current draw 1,15 mA @ 230 V.
7k Ω input impedance (with load buttons pressed) - Current draw 30 mA @ 230 V.
Power requirement 2 AA batteries. 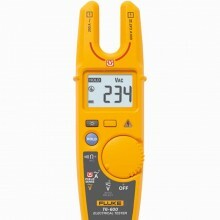 280 g (T110. 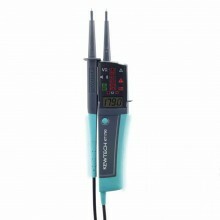 T130, T150). 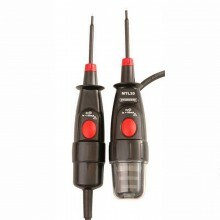 26 x 7 x 3.8 cm (T110, T130, T150). 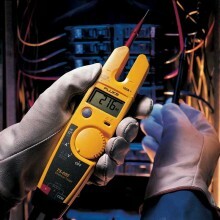 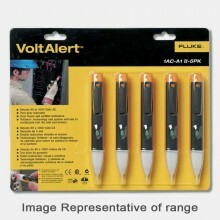 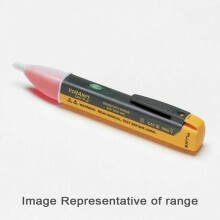 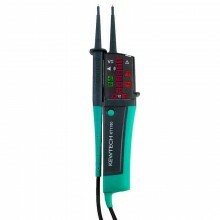 PDF Specifications of the Fluke T90, T110, T130 & T150 Voltage Testers.